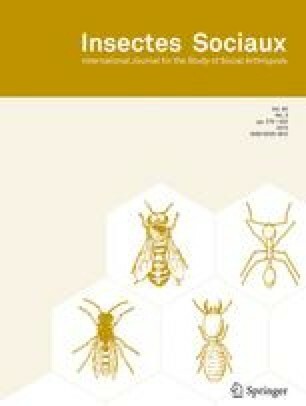 The polygynous invasive ant Lasius neglectus was described from Budapest, Hungary, as an unicolonial species, with no apparent colony barriers, and inferred intra-nidal mating without a nuptial flight. Here we analyze additional morphological characteristics of gynes, their physiological condition at emergence and at the time of mating and we describe the productivity of different types of colony founding in the laboratory. A low increase in dry weight and in fat content from emergence to mating indicates that gynes can only succeed in dependent colony founding. However, the queen-worker thorax volume ratio is typical of a species with independent colony founding and we were able to demonstrate independent colony founding in the laboratory (both haplo- and pleometrotic). Brood development in independent founding is rapid and the number of nanitics higher than in other Lasius species. Both colony budding and dependent colony founding could also be demonstrated in the laboratory. Worker oviposition was absent. The carbohydrate content of newly mated queens is consistent with the observed loss of mating flight of this species. However the relative wing area clearly indicates that L. neglectus queens should be able to fly. Therefore, both queen morphology and physiological state at maturity show that L. neglectus is intermediate between a monogynous, free-living, non pest ant and a multiqueened (polygynic) invasive tramp ant. This neglected ant thus offers interesting opportunities to study the origin of unicoloniality and the spread of this species in northeast Spain. Key words: Carbohydrate content, colony founding, egg-laying rate, fat content, Lasius neglectus.